Chinese New Year Wishes This is Chinese new year and it’s a nice time for family reunions, new beginnings, renewed romance and new potential for a happy year to come. 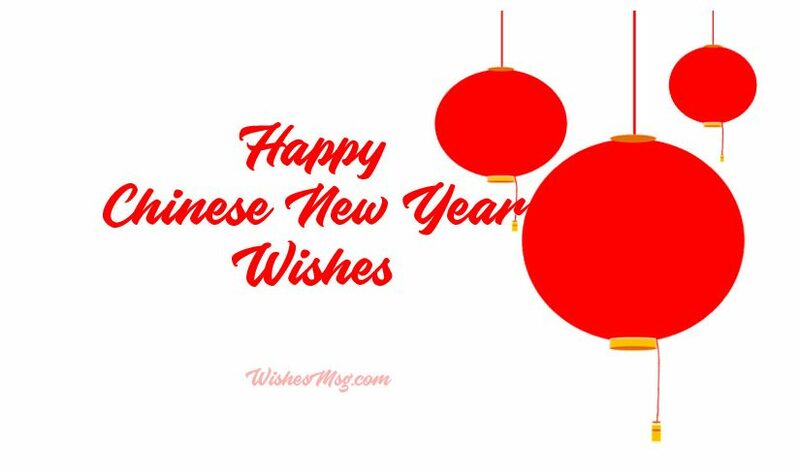 And, you should wish your friend, colleague, staff, clients or business partners on this widely celebrated holiday of a lunar new year. Maybe you are wondering about what to write in a Chinese new year card? The fact is, you don’t need to know Mandarin to greet anyone a happy Chinese new year, some best Chinese new year greetings in English will do fine. 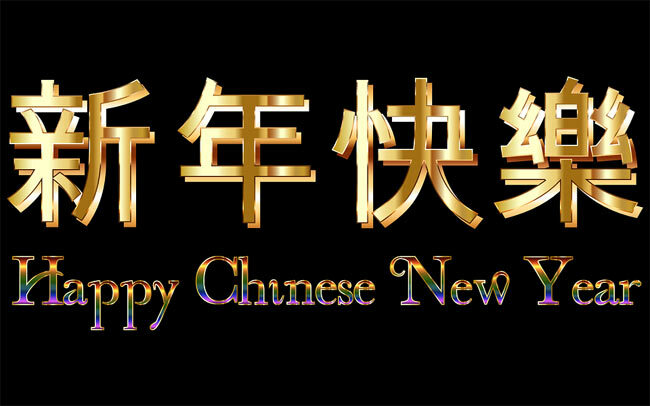 Here we have some happy Chinese new year wishes, messages, greetings and quotes to wish your dear one’s joy and prosperity in the new year. You can send these Chinese new year wishes and greetings in a card, note, text or on social media. Let’s go off the demons and move on with the dreams, it’s time to start another year and another set of opportunities. Happy Chinese New Year 2019! My heartfelt and best wishes are with you and your loving family throughout this New Year and always. Wishing you have all the joy and prosperity in the new year. Gong Xi Fa Cai! 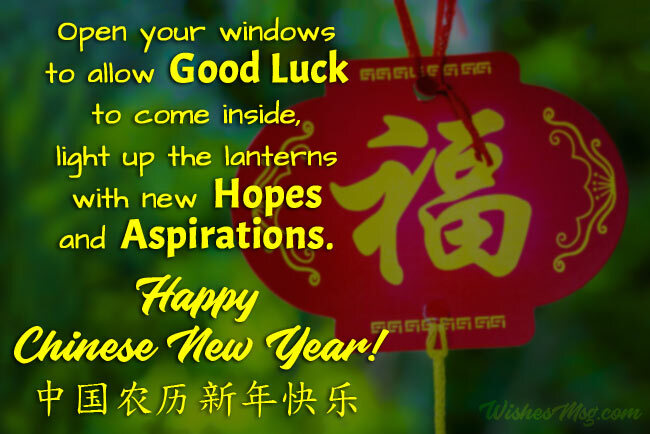 Open your windows to allow good luck to come inside, light up the lanterns with new hopes and aspirations. Happy Chinese New Year! Gong Xi Fa Cai! May all your dreams come true. I wish you a very happy new year with good Luck, health and prosperity. Wish you wealth and prosperity in life, May good luck follow you in every step and your house be filled with happiness. Xin Nian Kuai Le! On this new year, I hope that God’s blessings will guide you through all your limitations and help you get over your weaknesses. Welcome the New Year with a cute smile on your face and keep smiling through all year round. Have a happy and prosperous new year! Wishing you joy, gladness and achievement on this starting of a lunar year. May the light of the moon illuminate your paths and guide you always! It’s a chance to start anew. 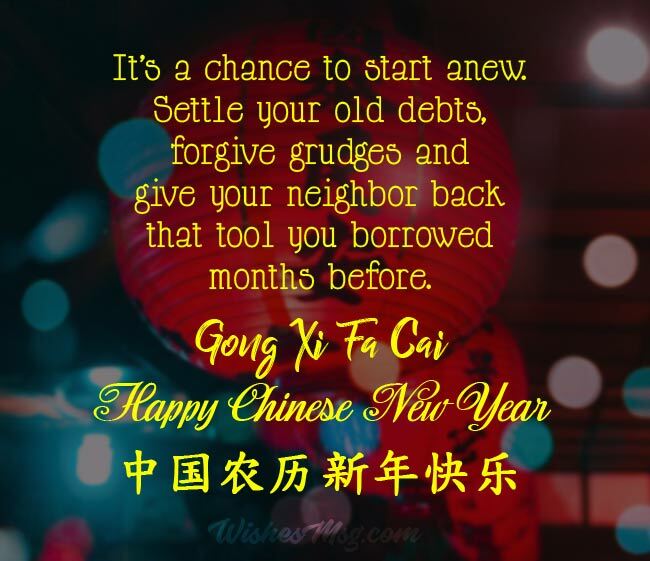 Settle your old debts, forgive grudges and give your neighbor back that tool you borrowed months before. Gong Xi Fa Cai! Don’t forget to purchase a pair of red underwear or at least a pair of red bracelet for the days that you cannot wear another red outfit! Happy Chinese New Year! May you receive lots of red envelopes filled with money and a great family gathering except facing the annoying question “Why Are You Still Single?” Good luck in the year ahead! Please, pardon me for all the annoying behavior of last year. I promise to continue all that for the upcoming year. Gong Xi Fa Cai! Bid Adieu to the fantastic year of the dog 2018 with elegance and embrace the brand new year of the pig 2019 with grace. Hope your zodiac sign shines this year. Cheers to you welcoming the new year and let’s raise a toast to the year of the pig. Gong Xi Fa Cai! Hi dear, it’s time to pop the champagne, put on your party hat and repent all the wrong you have done in the last year! It doesn’t matter you broke the resolutions of English new year, here come’s a new opportunity to make some new on this Chinese new year. Lol! May you find the way to turn all your dreams into reality! May every step of the new year take you higher. May you have the best and happiest new year! Here’s wishing you the best of luck for the upcoming year’s prosperity and fortune. May you always have the courage to face life’s hardship and scare away any misfortune. I wish you good health and long lasting prosperity in life. Enjoy this holiday with your family and friends. May you find the eternal happiness, cheerfulness and success. I’m sincerely wishing you the best of celebrations on this lunar new year. May your home be filled with all that you need to be comfortable in life. Happy New Year! May your business grow and expand with every day. Hope, the journey ahead gives you more successes in your life. Wish you the very best for the New Year! Best wishes for a festive holiday season filled with joy, luck, health and prosperity. Hope it will be nicer than the last. Enjoy yourself! Let us appreciate the time you have spent working with us! Thank you for taking the time to cooperate and interact with us, we’re very thankful! Enjoy the year with a good laugh and peace! May you see the peak of your personal and professional life this year! Have the best year ever filled with success and joy! I’m wishing you all the best and may the joy of New Year outshine all the rest. I pray to God to make you the happiest and prosperous person on earth. As another wonderful year comes to an end, I want to take a moment to greet you a Happy Chinese New Year 2019! May happiness fill your heart and treasures fill the home! On this first moment of a happy new year accept my best wishes for your perfect health and lasting prosperity. Gong Xi Fa Cai! I’m wishing you all the joy of the new year’s celebration and look forward to making many more good memories in the coming New Year. Out of many the greatest joy of this season is the chance to say Thank You and wish the very best for the New Year. May the spirit and joy of this festivity stay in your heart all year around. The journey is long, so go ahead with optimism and build many stories of success. It’s time to say goodbye to the old year. Now, welcome the new year with a heart full of positivity and new hopes. Happy New Year! We’re the passenger of the same boat that’s heading towards an unknown future. May the hopes of the new year guide us in the right direction! Hope, now you know How to Say Happy Chinese New Year in English! 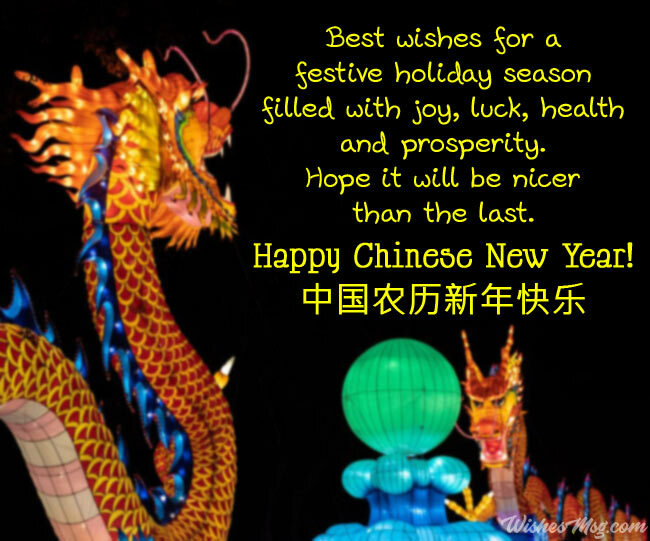 Send your warmest wishes and Chinese new year messages via email, text or in a letter. Also, you can post these Chinese New Year greetings to wish wealth and prosperity on Facebook and Instagram or pin these images on Pinterest. Even, these Chinese new year wishes are best printed in a card or a note.